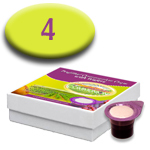 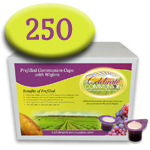 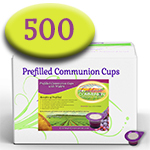 Prefilled Communion Cups with Wafers - Both elements of Communion in one prepackaged individual serving. 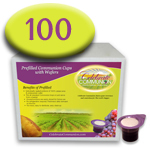 Each cup has 100% natural concord grape juice and unleavened wafer. 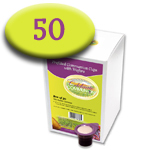 Available in quantities of 500, 250, 100, 50, 12 and 4 and travel case of 8.